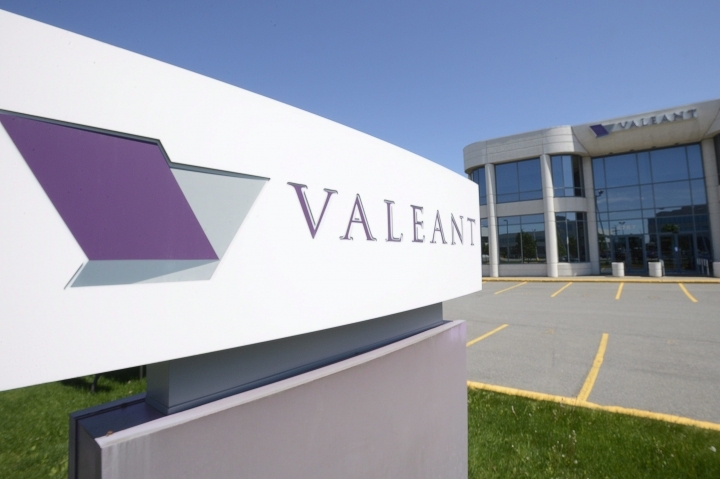 NEW YORK — Valeant Pharmaceuticals replaced Robert Rosiello as chief financial officer as the embattled company attempts to normalize operations amid a host of investigations and class action lawsuits. The Canadian company named Paul Herendeen, former Zoetis chief financial officer, to fill the post immediately on Monday. The news sent shares up by more than 8 percent to $31.14 in midday trading. Valeant has been under fire for its strategy of buying smaller drug companies, then hiking the prices of the drugs that those companies make. Earlier this year, the company ousted Michael Pearson, the CEO who engineered the Valeant's acquisition strategy, replacing him with Joseph Papa. Valeant is the target of at least 11 investigations in the U.S. and Canada, and a number of class action suits. The company's income has been declining drastically for more than a year. In the most recent quarter, revenue tumbled 11.4 percent and losses widened. It is one of several pharmaceuticals that have come under the spotlight as skyrocketing drug prices become a national talking point ahead of the nation's presidential election. 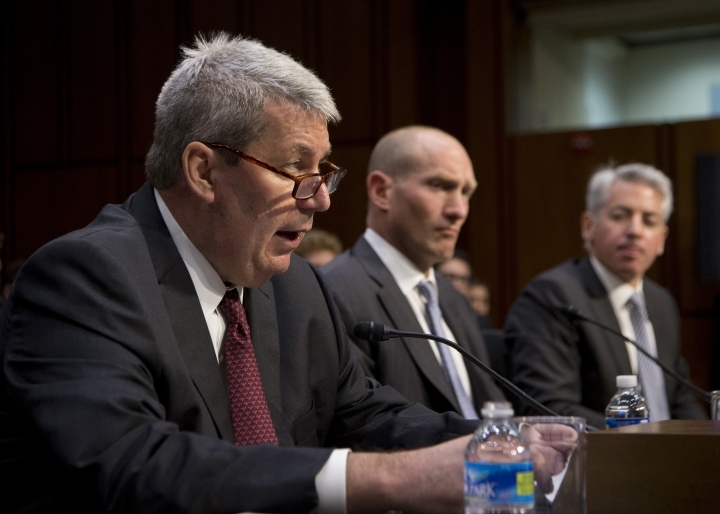 Former CEO Michael Pearson was summoned before Congress to explain how Valeant, after acquiring other drug companies, jacked up prices of old, off-patent drugs with little competition as much as five times what they had cost for years. Several other companies have done the same, most notably privately held Turing Pharmaceuticals — whose former CEO, Martin Shkreli, gave the pharmaceutical industry a black eye by hiking the price of a life-saving drug called Daraprim by 5,000 percent, to $750 per pill. Those price hikes do not appear to be abating, however. The backlash against Valeant Pharmaceuticals International Inc. has cost its shareholders, however. The stock plunged with the company's business model in doubt. Shares which hit an all-time high of close to $264 just over a year ago, have since plunged to less than $30. Prior to Zoetis, Herendeen., the new CFO, logged a combined 16 years in the same position at MedPointe, and then Warner Chilcott.